#ISAPLAN – The Irish Sailing Association (ISA) is set for a shake–up following a year of controversy over its policies. Last night it was revealed an 'independent group' – that includes some of the association's critics – has been appointed to form a new plan for the governing body. In framing the terms of reference for the 'Strategic Review Group' (SRG), ISA President Niamh McCutcheon conceded 'events have overtaken it and the ISA needs a new plan'. A team of six leading sailors will 'establish the policies to be pursued and the actions required to deliver them successfully', according to SRG chairman Brian Craig, a former flag officer of the Royal St George Yacht Club in Dun Laoghaire. Some long standing grievances aired last winter led to revolt when sailors Norman Lee and Bryan Armstrong criticised its dinghy and small boat training at the ISA agm. The points raised received widespread support that manifested itself months later in a vocal 'dinghy conference' for Ireland's 20 small boat classes at the National Yacht Club, resulting in over 300 suggestions for change. It took perseverance and genuine courage to press for this change and there will be many sceptics and spoiling interests to confront if this first step is to translate into a new blueprint for sailing but in forming the new group, Craig has stressed its impartiality: 'As an independent group, we are ideally placed to seek suggestions". We want to hear from anyone with a view to offer and I assure you that we will listen', he vowed. Headquartered in Dun Laoghaire, the ISA has a staff of 14. Its accounts for 2012 show a turnover of €2m, much of it made up of government grants. Significantly, Craig has included former ISA President Roger Bannon, an outspoken critic of current ISA policies in the line–up. A dinghy and sportsboat champion in his own right, Bannon used his term in office two decades ago to secure the position and financial viability of the association as a national sporting authority by making every member of a sailing club in Ireland also a member of the ISA. In a call for change on Afloat.ie last March, "The ISA has lost its way over the last few years," Bannon said, giving his view of a bureaucracy "detached from the reality of what is going on in the front line". Once it has carried out an 'initial examination' the group will move on to recommend 'future strategies'. Spring 2014 is scheduled as completion date for the Group's assessment of the current position. 'This will be a major undertaking but I am confident that, with the support and engagement of all interested parties, we will chart a course for the Sport suited to this new environment. It is understood the process will include a zero based budget review on key financial areas along with a review of the association's committee structures. 'The new plan will be critical to the association's ability to provide leadership in satisfying the aspirations of existing members and in attracting new participants to the sport', according to McCutcheon, the outgoing president due to step down in March. Bryan Armstrong lives at Rosses Point County Sligo. Keen if not overly successful dinghy sailor since the late 1960s with an interest in home boatbuilding in wood – Mirrors, GP14 and (for the 2011 Worlds in Sligo), a Fireball. Brian Craig, a former flag officer of the Royal St George, a member of the Irish Cruising Club, Lough Derg and Kinsale yacht clubs. Was a keen dinghy sailor competing on the Firefly, Fireball and Team Racing national and international circuits. Currently racing a SOD, he has a motor cruiser on Lough Derg and a cruising yacht based in Dun Laoghaire. Since retiring from business, he has played a key role in attracting and organising major championships on Dublin Bay. He worked closely with the waterfront clubs and local bodies in Dun Laoghaire to develop the biennial Volvo Dun Laoghaire Regatta and more recently led the Irish team that ran the ISAF Youth Worlds 2012. A regular participant in Irish and international sailing. 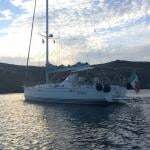 He is in constant contact with customers in dinghy and keelboat sailing - racing and cruising. Enterprise dinghies and Laser frostbiting (when wet suits were a novelty) were Neil's intro to the sport. Small boats are still his favourites and he races a Puppeteer 22 in Howth. As a National Race Officer, he gets to see and enjoy racing in a variety of Classes. As one of the ISA's youngest Presidents (1996 to 1998), he launched its first Strategic Plan, which plotted priorities and set out its targets coming into the current millennium. He chaired the 2012 ISA review of the All Ireland (formerly Helmsmans) Championship and, most recently, was Race Officer when Howth YC hosted the 2013 event. Apart from racing, his main area of interest is in increasing participation levels, both by recruiting newcomers and retaining those already involved. Started sailing Mirrors in 1967 from Greystones Sailing Club. Over the years he has raced in 420s, 470s, Flying Fifteens, J24s, Dragons, J109s and Squibs. 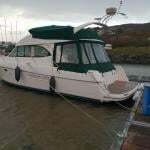 He has also cruised for many years and currently keeps a cruising boat in Kinsale from where he sails the southwest coast and further afield. When Jack's not sailing he's very involved in race management and has been an International Race Officer since 1998. He was honoured to be the first Irish Race Officer at an Olympic Regatta in the London 2012 Games. Jack Roy is a cuurent board member of the ISA.